Die-cut gaskets for IP67 and IP68 enclosures provide strong environmental resistance, which makes them a good choice for electronics. The first digit in an IP rating describes the level of protection against solid particles. For example, the 6 in IP67 and IP68 indicates that the enclosure is completely dust-tight. The second digit describes the level of protection against water. The 7 in IP67 indicates that the enclosure withstands immersion up to 1 meter. The 8 in IP68 indicates that the enclosure withstands water deeper than 1 m.
Typically, IP67 gaskets and IP68 gaskets are made of low-durometer silicone rubber, including closed cell materials. Softer silicone grades conform to surface irregularities on plastic and metal enclosures and readily fill small gaps. They also provide cushioning, insulation, and reliable sealing under lower clamp pressures. Marine environments may require IP67 and IP68 gaskets that resist salt water or salt fog, and sunlight (UV) and ozone. 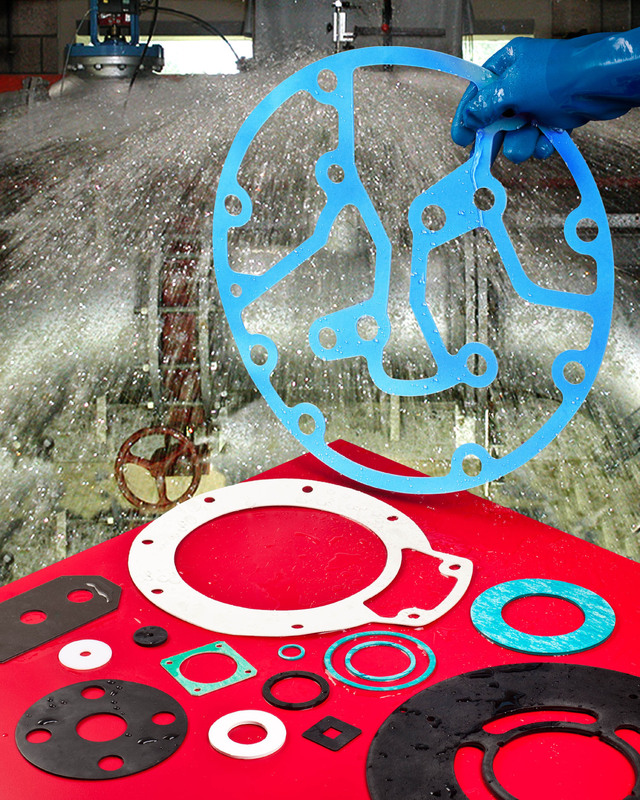 Die-cut gaskets for IP67 and IP68 enclosures require proper seating and good wetting properties to ensure effective sealing. Otherwise, small gaps or under-compressed areas may allow the ingress of water or dust particles. Grooves or adhesive backings, and the use of rigid housing materials are also important to consider. For example, submerged gaskets may require a rigid housing to prevent flexing between enclosure fasteners. Do you need die cut gaskets for IP67 enclosures or IP68 enclosures? Interstate uses precision die cutting equipment to convert sheet and rolls of elastomeric materials such as silicone into custom sealing solutions. We can also custom manufacture gaskets with adhesive backings for ease-of-installation. To learn more about die cut gaskets for sealed enclosures, contact Interstate on-line or call (800) 984-1811.